William Clyde Elliott II is one of the popular professional Stock car racing driver. 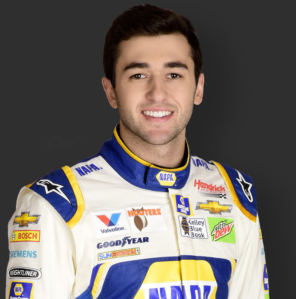 He is widely recognized as Chase Elliott. He is well known American celebrity. He is famous for contribution to professional life. His car number is 9. He is very talented and skilled racer. Currently, he competes for full time in the Monster Energy NASCAR Cup Series by driving car no. 9 Chevrolet Camaro ZL1. He competes for part-time in the Xfinity Series by driving car no. 99 Chevrolet Camaro JR Motorsports and car no. 23 Chevrolet Camaro for GMS Racing. 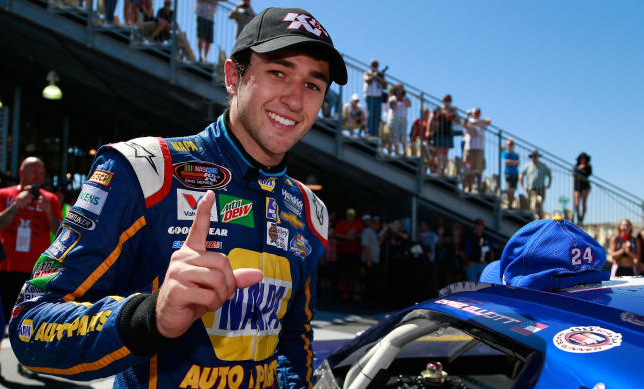 Passionate and enthusiastic racer, Chase Elliott was born on 28th November 1995. He was born and raised in Dawsonville, Georgia, the city of U.S. His full name is William Clyde Elliott II. He is the son of Bill Elliott and Cindy Elliott, his father, and mother. His nationality is American. His astrological sign is Sagittarius. At the small age, he began his career with a racing car. Chase has got a great personality. Talking about his body, his height is 1.78 m. His weight is of 66 Kg. He has a balanced body with good health. He has an attractive body figure. His smiling face and charming personality have helped him to gain the attention of all the viewers. In 13th July 2009, Elliott was featured as potential starts when he was just 13. Later, in the year 2010, he raced in 40 races in many series and also won 12 events finishing in top ten for 38 times. He also won the Blizzard Series, Miller Lite and Gulf Coast Championship named the Georgia Asphalt Pro Late Model Series Rookie of the Year in his third season of racing career. In the following year 2011, he won series National Super Late Model Championship. Again he won the Snowball Derby and became the youngest race winner. In the year 2011, he signed a 3-year contract with Hendrick Motorsports in the month of February. In his 2011 and 2012 seasons, he competed in three K&N Pro Series West races: once in 2011, twice in 2012. In his 2011 event, he finished third, and in the 2012 races, he finished 17th and fourth. In the year 2012, he won the Alan Turner Snowflake 100. On 8th June 2013, he became the youngest winner in ARCA Superspeedway and also in November he won the All American 400. In the year 2013, he won the first career NASCAR in the qualifying for the UNOH 200. In the year 2014, he won O'Reilly Auto parts 300, VFQ Sports Clips Help a Hero 200, Enjoylllinois.com and many more. In the year 2015, he received his first DNF in his career and won the first race of the season at Richmond. In the month of October 2016, he entered the Alpha Energy Solutions 200 at Martinsville Speedway and joined GMS Racing's No. 23 entry for two races and he won the race at Martinsville. Later, he joined the Sprint Cup Series full-time in 2016, driving the No. 24 and won 2016 Rookie of the year. He started the 2017 season by winning the pole for the Daytona 500 for the second year in a row and won many games in this season. In the year 2018 Hendrick Motorsports switched Elliott's car number from the No. 24 to No. 9. Elliott won stage 2 for the 3rd week in a row (Loudon, Pocono, Watkins Glen), and led the final 33 laps to finally capture his first Monster Cup Series win at Watkins Glen. Chase is not married yet but he is in a relationship with Kaylie Green. Currently, he is dating her. She is the daughter of NASCAR driver, David Green. They seem to be very happy with each other. The couple makes public appearances together often. There is no any sign of Separation between them. They are living peacefully. She fully supports Chase career. This excellent player makes good money from his work. The net worth of Chase is estimated to have $2 million as 2018. His salary is kept in privacy but there is no doubt in the mind of his supporters and followers he is satisfied with his earning.